Inspire Bingle: The secret of Success! A young man asked Socrates, an ancient Greek philosopher, the secret of Success. Socrates told the man to meet him near the river the next morning. They met. Socrates asked the young man to walk with him toward the river. When the water got up to their necks, Socrates took the young man by surprise and ducked him into the water. The man struggled to get out but Socrates was strong and kept him underwater until he started turning blue The young man struggled hard and finally managed to get up. The first thing he did was to gasp and take a deep breath. Socrates said: That’s the most secret to success. When you want success as badly as you want air, you will get it. There is no other secret’. Socrates is a famous ancient Greek philosopher. He was born in Athens in 469 BC and was killed (by poison) in 399 BC (about 71 years old) because the government didn’t agree with his teaching. 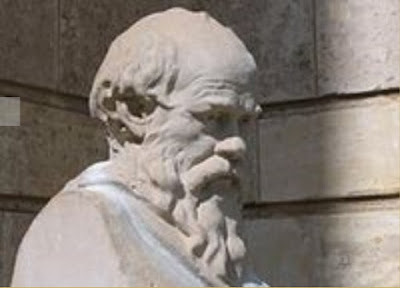 Socrates is widely credited for laying the foundation for Western philosophy. There are several ways to get success in life; but in most of the parts we are choosing the best and effective way like hard work, dedication and determination. From here we can taste some good ingredients about success and I hope while following these instructions we are able to get quick success in life. Good important tips from experienced persons are always bringing suitable opportunities for career success.